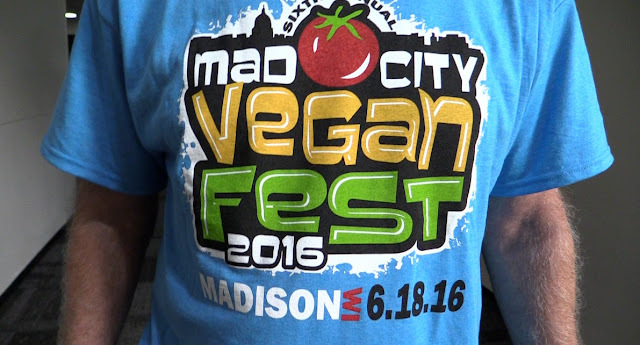 Tarazod was hired this year to once again film and edit the Mad City Vegan Fest. Yesterday, we set up a three-camera shoot at the day-long event, which for the first time, took place at the Alliant Energy Center in Madison. As with the past couple years, there were six different presentations, multiple camera angles, and a separate audio track. Robert was assisted with the shoot by Colin Cameron. We'll have the edit completed and up on the Mad City Vegan Fest youtube channel by week's end.